The block party will take place rain or shine at the intersection of Peachtree Street NE and Ponce de Leon Avenue, an area that historically represents the heart of Atlanta. Both streets at the intersection will be closed to vehicle traffic; the main entrance will be at Peachtree Street NE and 3rd Street NE. Also planned are multiple social media Q&A’s leading up to the block party. Random winners can win prizes including drink and food vouchers during block party, 40thanniversary Save the Fox merchandise, Fox Theatre tour vouchers, and more! 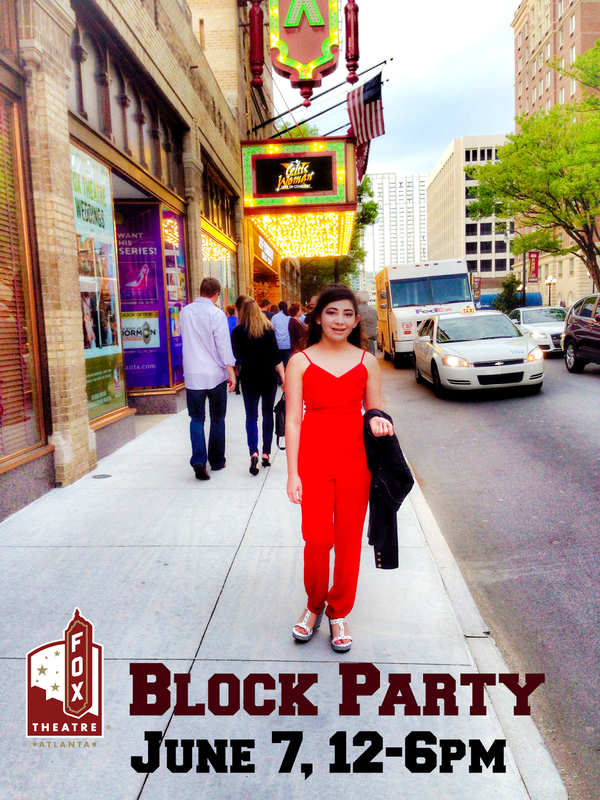 Please follow us at www.fb.com/foxtheatreinstitute and our official event hashtag #FoxBlockParty for more details. The block party will be free and open to the public. Current sponsors for the event include Budweiser/Atlanta Beverage, Georgia Natural Gas, Lexus, Regions and AT&T.